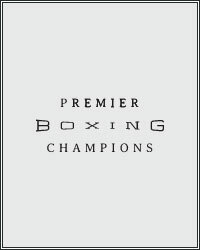 Recent reports have former two-division world champs Marcos Maidana and Yuriorkis Gamboa signing multi-fight deals with Premier Boxing Champions (PBC). And, while the visceral reaction from many might be “so what” or a more antagonistic “that’s stupid,” the reality is that these deals are win-win propositions for the Al Haymon-headed boxing company. Maidana, of course, is the bigger signing of the two. The heavy-handed Argentine has been gone from boxing for over 4-and-a-half years now, since cashing a pair of hefty checks for bouts with Floyd Mayweather that proved to be Mayweather’s most competitive tussles in years. Before that, Maidana, a former welterweight and junior welterweight champ, made a name for himself as a fan favorite with an all-action style, scoring victories over Adrien Broner, Josesito Lopez, Jesus Soto Karass, Erik Morales, and Victor Ortiz while losing points decisions to Amir Khan and Devon Alexander. In recent years, Maidana started reappearing on social media, well above the 147 lb. mark, showcasing his life of post-retirement leisure. But, apparently, the boxing bug bit and, with money still on the table from fans who’d pay to see him fight again (and companies that would like to make some money from having fans see him fight again), the now 35-year-old banger has decided to come back. As for Cuban Olympic gold medalist, Gamboa, well, he was never really retired in the first place—he was just kind of lost. The former 126 lb. and 130 lb. titlist had an ugly falling out with promoter Bob Arum in 2012 and that resulted in a legal mess and rudderless career path as he drifted above his ideal weight and through patches of inactivity while drifting further from a physical prime that once featured blazing hand speed and supreme reflexes. Inside-the-distance losses to Terence Crawford and Robinson Castellanos at lightweight during this “drifting” period, led the boxing world to label Gamboa as “finished” and as, ultimately, a talent who never quite reached his full potential. Most recently, though, Gamboa is 3-0 in somewhat of a focused comeback effort, but the deal with PBC may turn that “somewhat of a comeback” to a “real” comeback attempt. Nobody is under the assumption that Madana and Gamboa will be returning to the ring as anything close to their prime selves. Probably the most the PBC folks can hope for is for both to be competitive enough in their respective divisions to warrant legitimate bouts against the younger top talent. When it comes to this particular goal, Maidana, with his heavy hands and battler mindset, will have a better chance at becoming a legit challenger again, over a speedster like Gamboa, with faded speed and increasingly diminished punch resistance. But, again, this is a win-win for PBC. If Maidana and/or Gamboa can make a real comeback, then PBC has two new, re-vamped stars on their team. But, even if both prove to be mere shells of their former selves, their name value will make them valuable fall guys and resume-padders for emerging stars. Maidana, after getting a soft touch gimme in a grand comeback showcase, could be matched against any number of PBC welters—Errol Spence, Manny Pacquiao, Keith Thurman, Shawn Porter, Danny Garcia, or, as rumored, against Adrien Broner in a rematch of their 2013 bout. At worst, he’ll put up a fight en route to defeat, help sell some tickets, and provide a “name” for a couple of hotshot’s ring resumes. And the same deal goes for Gamboa, although matchmakers will have to be extra careful in making sure not to put him up against a tune-up foe who can crack. Gervonta Davis needs names to knock out if he’s going to become a next-level star and Leo Santa Cruz may also be bound for 130 lbs. after his upcoming WBA featherweight title defense. There’s also Robert Easter at 135, who could use a “big” win after his big loss to Mikey Garcia. So, ok…welcome back Marcos and Yuriorkis. Us fans won’t be losing anything in seeing you guys pushed back towards the main stage and, who knows, maybe there’s some life left in those old fists.